The majority of our staff are based in remote communities in Arnhem Land, NT. Life can be very different from the mainstream there, with every day a potential adventure! We thought we’d start to share some of the uniqueness of our work with you through a series of videoblogs, to give viewers an insight into what it’s like living and working in remote Aboriginal Australia. 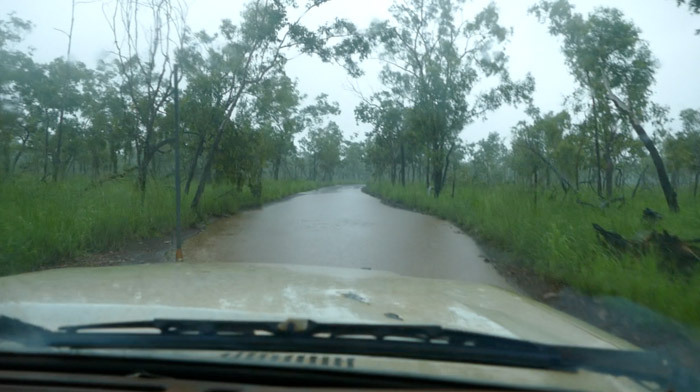 This month, we travel off-road with Richard Trudgen through flooded swamplands to reach the community of Ramingining, 5-6hrs drive from Nhulunbuy, NT.